Do you have a great idea for a Windows Phone app? Figuring out how you’re going to raise money for it? You’ve come to the right place for a fresh new way to fund your project. Microsoft BizSpark has teamed up with AppCampus to offer grants for select startups in the BizSpark program to build compelling Windows Phone apps. The program offers awards specifically to BizSpark startups, ranging from 20,000-70,000 euros. Even better, the grants are just that. AppCampus don’t take equity, revenue share, or IP rights. Want to know more about the grant? In addition to investing 20,000 – 70,000 euros per project, AppCampus provides grant winners with comprehensive support, training in mobile technology, design and usability, and funding to create mobile apps and services. For those of you who are familiar with our Mobile Acceleration Week program, AppCampus is using this as a model for the technical training portion. When you are ready to distribute your app, Windows Phone Marketplace and Nokia Store also offer local and global business opportunities to program participants via distribution to consumers around the world. In addition to the AppCampus grants, you will benefit from the free Microsoft software, support, and visibility provided by BizSpark. There isn’t one. Simply put, we want to find (and fund) the next great ideas. AppCampus doesn’t take a portion of your profits. They just require you to launch your app on Windows Phone or if you have already launched on a competing platform, to offer unique features and capabilities for a period of time. Ideally, the winners wouldn’t have an app in a competing marketplace or building. However, an existing app may qualify if you enhance your app significantly on the Windows Phone platform. AppCampus is particullarly interested in companies also developing on other Microsoft technologies, especially Windows 8 and Windows Azure. In order to apply, you need to be a member of BizSpark. Simply click on the link below, and you’ll be directed to the special BizSpark AppCampus site. You’ll need your BizSpark member ID to apply. Companies will be notified quarterly of the results. Good luck! Not in the BizSpark program yet? No fear! Find out more about the application process here. Kicked off in May 2012, AppCampus is an €18 million joint project led and managed by Aalto University, which has a growing reputation as a hotbed of new startup companies. 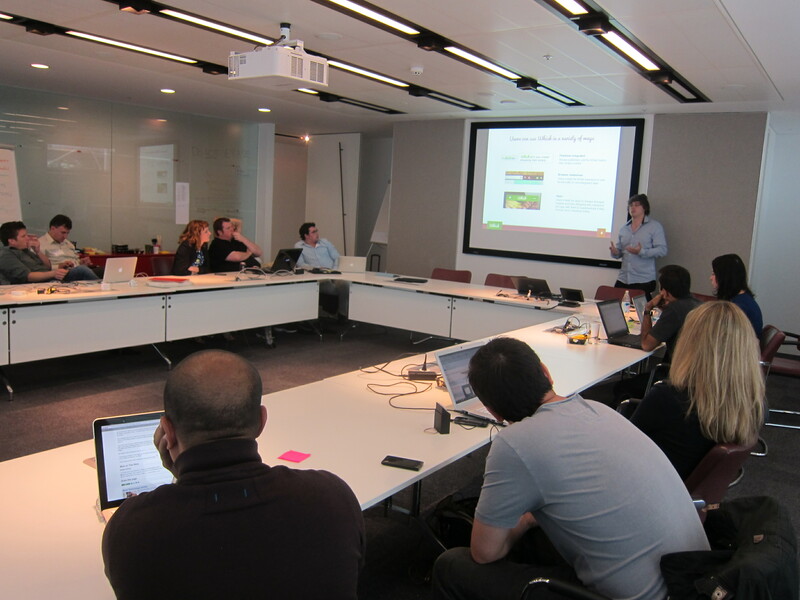 AppCampus offers financing and coaching in mobile technology, design and usability to Windows Phone developers. Rdio, a streaming music service, recently partnered with TuneCore and CD Baby to reach 18M song offerings. The partnership was covered in VentureBeat, Hypebot, and Billboard. The company, who attended MAW in San Francisco, released a WP7 app in January and is available in 13 countries. Kiosked, a MAW Helsinki alum, recently announced their development partnership with Tekes Tempo. Kiosked, the online shopping aid, aims to release a Kiosked mobile app in the near future. The company also completed an impressive $4.5M funding round this summer. TouchApps, an Israel MAW attendee, has released four apps on the Windows Phone platform. Make-Up Girls, Chic Baby, Make-Up Girls-Wedding Edition, and Boyfriend Makeover can all be found on Marketplace. The apps are trending well In the Educational Game category and getting great consumer reviews. 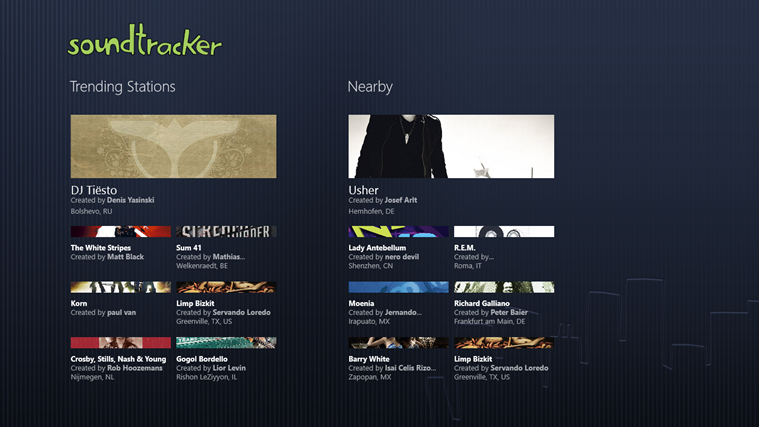 Soundtracker released a Windows 8 application in addition to their WP7 app. The company is a free, online music service that blends Internet radio, social networking and location awareness that attended MAW in New York City last year. Soundtracker joined fellow MAW alum WNMLive, News360, and News Republic in the Windows 8 Preview Store. Star Arcade, a MAW Helsinki alum, just released their latest game app. TicTacToe can be found on Marketplace alongside the company’s other two games, Diamonds Capture and Diamonds Paradise. Star Arcade, a mobile and social gaming company, plans on releasing their fourth WP app later this month. Zooz, a MAW Israel alum, was chosen as a finalist at VentureBeat’s MobileBeat 2012 competition. Zooz developed a payment platform that allows users to complete payments from their mobile phones. The company is also working on bringing a mobile app to Marketplace. Travelyaari, an online bus ticket search engine, is making strides in simplifying the travel experience. The company, a MAW Bangalore attendee, is working with local authorities in Bangalore to ease the travel process for customers. 13 MAW events have been completed in San Francisco, New York, Israel, Helsinki, Moscow, Bangalore, Beijing, Berlin, London, a special weekend event in Shanghai, and two additional events in Delhi and Pune. MobiTechFest in association with CTIA Enterprise & Applications™ is announcing an annual Wireless GameChanger™ Award to a mobile/wireless startup that is predicted to make a profound impact on the way, we live, work and communicate. MobiTechFest will select up to 14 global startups to be showcased to active mobile/wireless focused investors from Silicon Valley. The startups chosen to present at MobiTechFest will also be in the running to be selected to present at CTIA MobileCon Enterprise Game Changer segment on October 10th. Learn more about that opportunity here. Additionally, the judges will choose one winner who will walk away with a $50,000 prize package including legal services and a marketing package. MobiTechFest has been showcasing promising innovations to investors since 2006. One of the challenges startups face is to get media time under a tight or any budget. Even at trade shows, they compete with the larger companies’ product launches, who also vie for same “eyeballs” and media coverage. Now, through this unique partnership with CTIA, MobiTechFest allows game-changing innovators to present their story in front of a world-wide media audience at no cost to them. The application deadline is September 5, and all mobile/wireless startups (seed, Series-A,B,C or restart) seeking funding between $250k and $20M are eligible to apply. Find more about the application process on the application website. bonusmagnet was featured as BizSpark’s Startup Of The Day feature today. bonusmagnet is a loyalty and direct marketing technology platform based on Smartphone Apps serving big corporations helping them connect and stay in contact with their customers. The company attended MAW Berlin and published a Windows Phone application soon after. The app allows users to keep their customer cards, membership cards, and club cards all in one electronic place. You can follow bonusmagnet on their Facebook page for updated information about the company and their applications. We have seen great things from this company, and are excited to see what they produce next. Congratulations to the bonusmagnet team on their success! 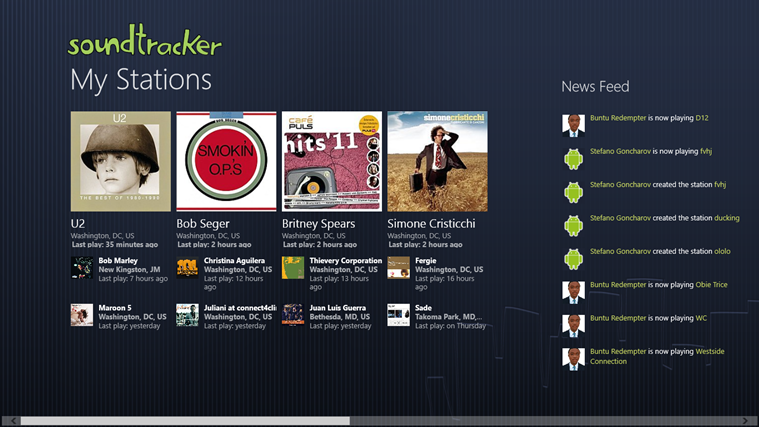 Congratulations to Soundtracker on their Windows 8 application! Soundtracker is a free, online music service that blends Internet radio, social networking and location awareness. The music-streaming company is the latest MAW alum to bring their application to Windows 8. 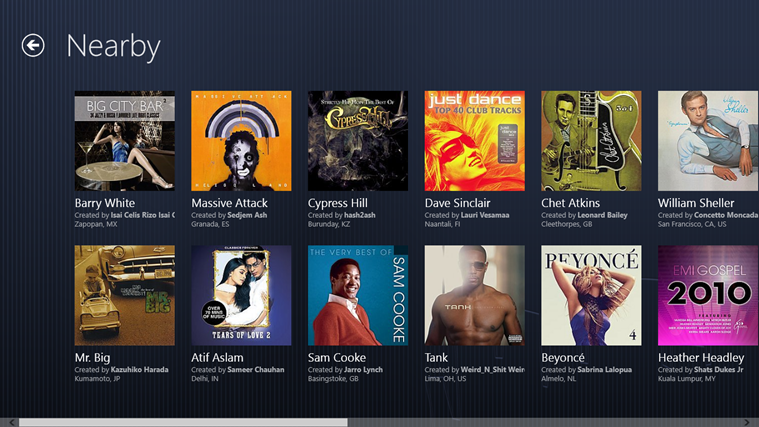 Soundtracker joins WNM Live, News Republic, and News 360 in the Windows 8 Preview Store. The company attended MAW in New York City last year and has since been working on developing not only a Windows 8 application but also a mobile app for Windows Phone 7. The WP7 app is available on Marketplace, and boasts more than 100,000 downloads across all platforms. The apps makes it easy to discover and play the music that friends and neighbors are listening to. Users can even comment on friends’ stations, chat, check out the latest music, and more. The app allows access to any artist and any genre from the largest music catalog on Internet radio with more than 11M songs for free. Users can also create their own radio stations and share them with friends via Facebook, Twitter and Foursquare and check out over 5M lyrics. A special congratulation goes to WNM Live on the release of their Windows 8 app! The press release was covered on multiple news outlets including the Sacramento Bee, StreetInsider, and Yahoo. WNM Live is a social discovery network that introduces users with people nearby and lets users connect with them anonymously. The company attended MAW in San Francisco last year and released their Windows Phone application in December. 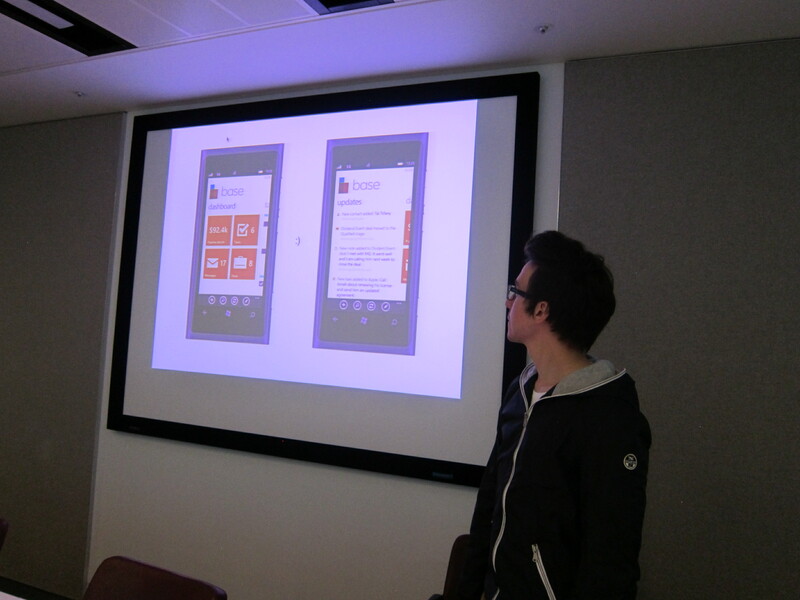 Since MAW, the team has been hard at work developing not only their phone application but also their application for the Windows 8 preview. And, all the hard work has paid off! With well over 156,000 downloads on all platforms, WNM Live is making quite the splash in the mobile industry. Now breaking into the Windows 8 world, that download number is guaranteed to increase an enormous amount. WNM Live is the most recent MAW alum to join the ranks of Windows 8 applications. Fellow San Francisco MAW participants News Republic and News 360 have also released Windows 8 previews apps. All the companies have published mobile applications that can be found on Marketplace. The WNM Live Windows 8 app can be found on the Windows Store Preview page. What a week! After four intense days of app development, technical and business sessions, and Windows Phone love, we closed out the week with our Demo Day today. 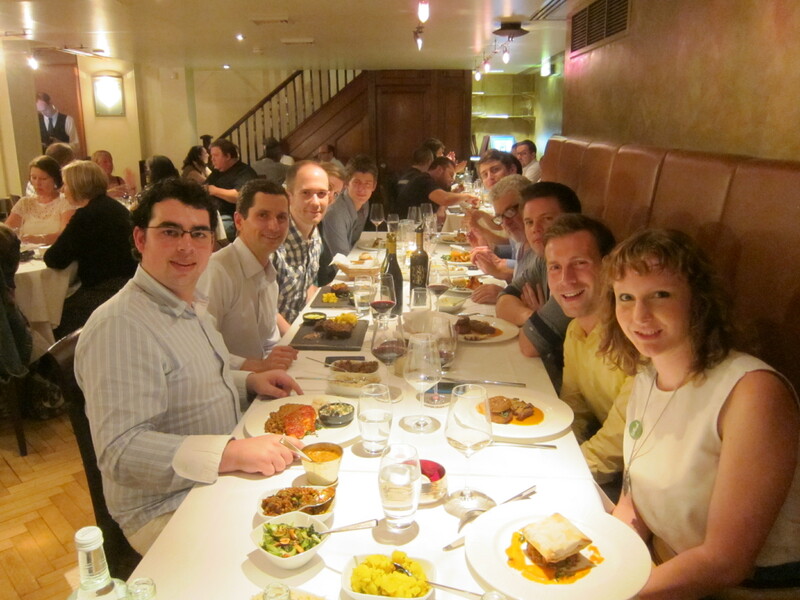 Last night, the startups and MAW team went for a networking dinner, which was a good chance to unwind at the end of the week. Representatives from Microsoft, Nokia, Techcoire, and Skype were in attendance, along with each of our startup developers and management teams. Companies arrived this morning after working hard yesterday in time to put the finishing touches on their mobile apps and presentations for the day. Shortly after lunch, Brian Hoskins, Director of Business Development on Microsoft’s Emerging Business Team, kicked things off with a wrap-up for the week and next steps in the MAW program. Following today, the startups will have 60 days to submit their apps to Marketplace. Microsoft technical evangelists and UI experts will be assisting along the way. Following submission, each company will be featured three times on Marketplace, a great opportunity to drive early downloads and visibility. The startups will also be eligible for BizSpark Startup of the Day, a guest blog on this site, and promotion via social media channels. Microsoft Advertising will help with monetization via consulting sessions and special concessions on ad sales. The startups here are also very interested in adopting Windows Azure, especially with the new BizSpark Plus program that provides free hosting for a period of time. Archify, Frootfal, Base CRM, Milestone, Blue Butterfly, and Whisk all had a chance to present today in front of Microsoft and Nokia employees, discussing their companies, business problems they are solving, and demoing their applications. 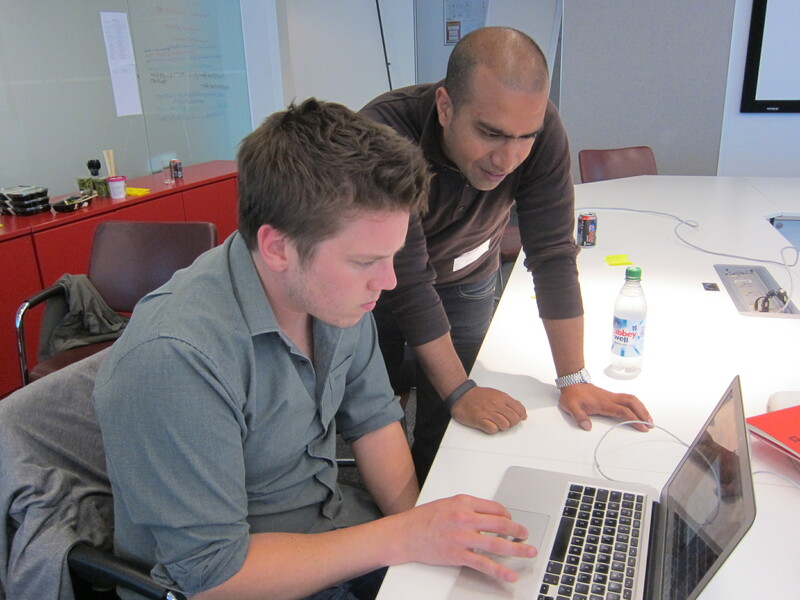 The enthusiasm of the teams was especially impressive this week, as each team worked diligently on their app. The event was streamed live via Twitter. We had a range of early stage companies such as Blue Butterfly, Whisk, Archify, and Frootfal, up to later stage companies, Milestone, Hailo, and Base CRM. The group as a whole has raised nearly $60M, with several seeking their Series A rounds soon. From what we saw today, the future looks bright for these startups. Several startups, including Whisk and Frootfal, will be launching first on Windows Phone as a result of their work this week. We loved seeing how quickly the startups adopted the Metro UI and took advantage of APIs and unique features of the platform. Base CRM and Blue Butterfly are pushing forward on new features such as NFC, mobile wallet, and OCR. This is the last MAW we have on the current calendar, but we’re planning to expand the program next year to additional cities and countries. A big congratulations goes to Team MAW and all the startups who have participated so far. If you’d like to apply to a future MAW you can find out about the application process here or on the MAW homepage.